Uninor has introduced a new special tariff voucher for Kolkata and West Bengal. Uninor’s latest offering STV39 will offer local onnet calls at 10paisa per minute, local offnet calls at 30paisa per minute, SMS at 20paisa and all STD calls at 40paisa per minute. The pack will be valid for 30 days. Few days back Uninor customer said that 2G data services of this operator degraded a lot, and this voucher is targeted to voice and sms customers. It seems Uninor is not focused on data customers, their focus is still on those customers looking for cheapest voice and SMS tariff. 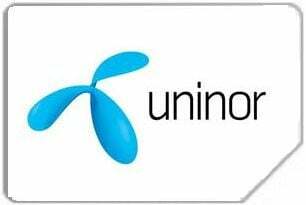 But as many employees left Uninor and Uninor & other 2G operators’ review petition is cancelled by Supreme Court, and Unitech and Telenor are yet to come to an end regarding the ownership of the company – it is not a good time to keep going with Uninor.